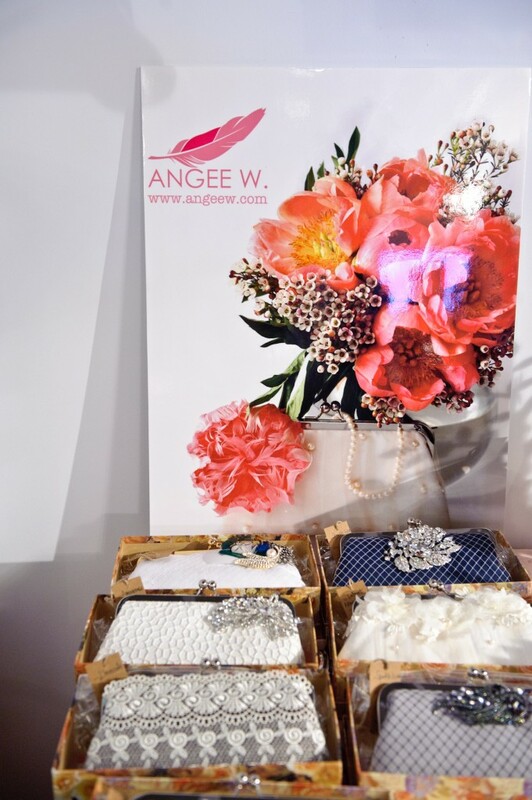 ANGEE W. clutch bags were recently showcased at the Fizz & Frills Pop-up shop organized by the Utterly Engaged. 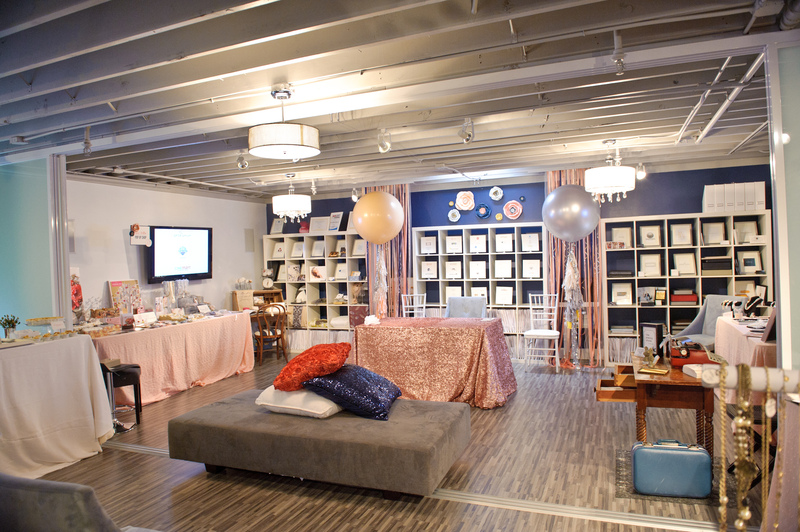 The event took place at the Blu Bungalow, a swank event planning venue located in the Bay Area of San Francisco. Here are a few photos from the event courtesy of Utterly Engaged. More photos available on our Facebook Album. 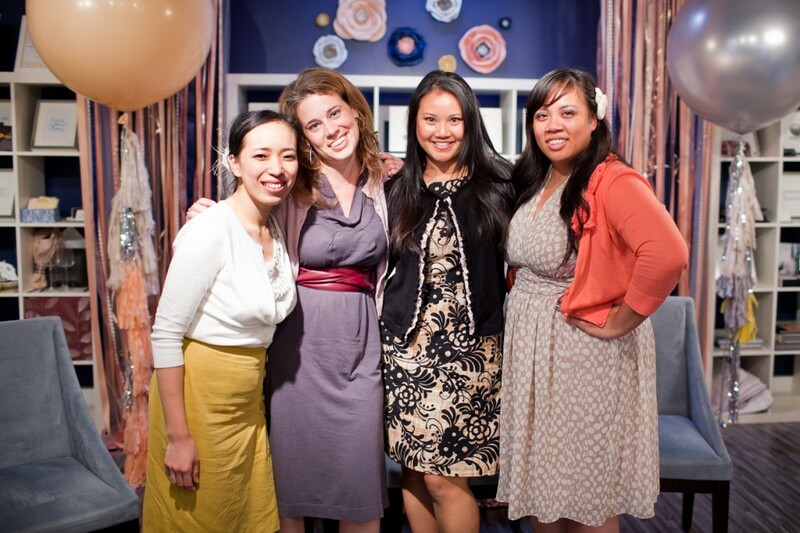 Utterly Engaged Hostesses Henny Vallee and Lucia Dinh with guest speakers Meg Keene of A Practical Wedding, Cathy of WeddingBee. *Henny is wearing our feather flower in ivory, we are so proud! More photos available on our Facebook Album. Enjoy!